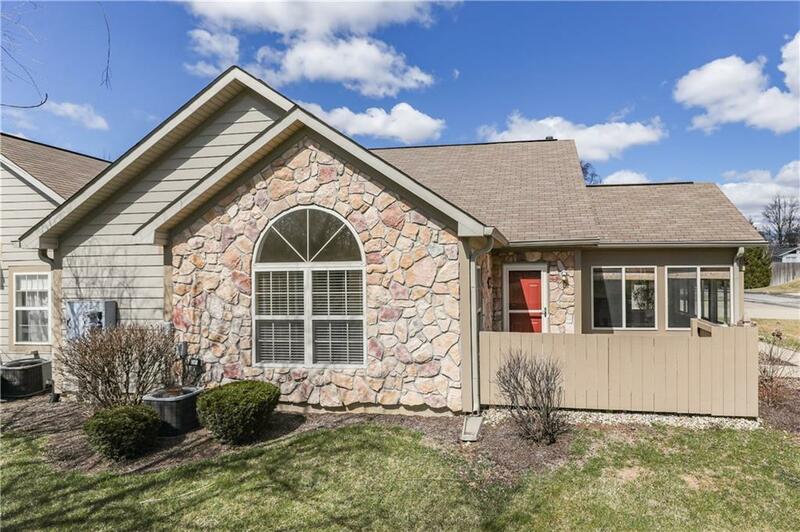 You'll just flip over this maintenance free condo in HIGHLY DESIRED Timbers Edge!! 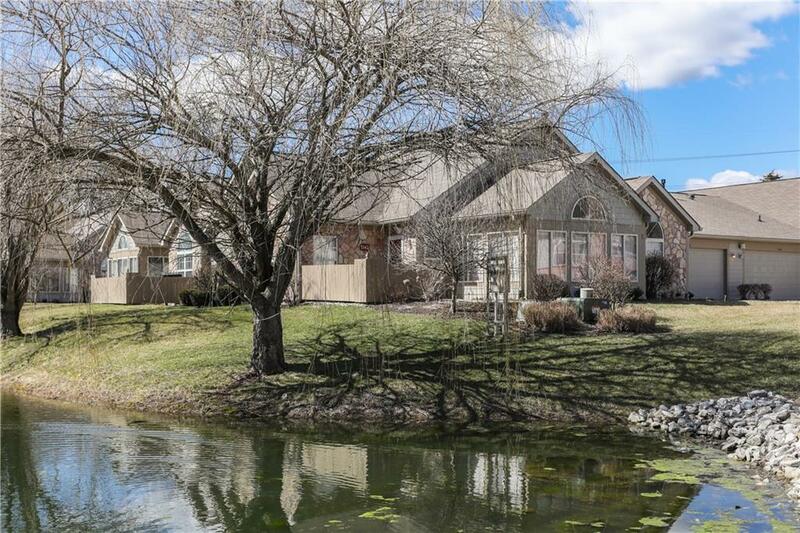 On pond, spacious floor plan w/split bedrooms, cathedral ceilings and natural light galore. Stainless steel appliances (except for stove), granite counters, and lots of cabinet space, laundry room has extra shelving and a work station, both bathrooms are very spacious with walk in closets, garage w/plenty of storage space and has cabinets with counter tops as well, monthly HOA dues include clubhouse, community room w/kitchen, pool & exercise rm, scenic walking trails winding through woods to park. 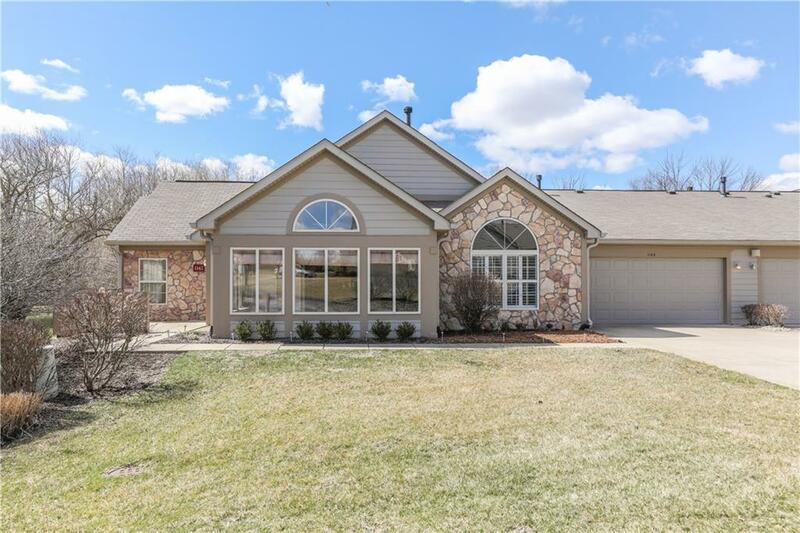 ALL ext maintenance on condo including maintenance of the grounds, trees, shrub trimming,sprinkler system,snow removal of personal drive as well. Many upgrades!! 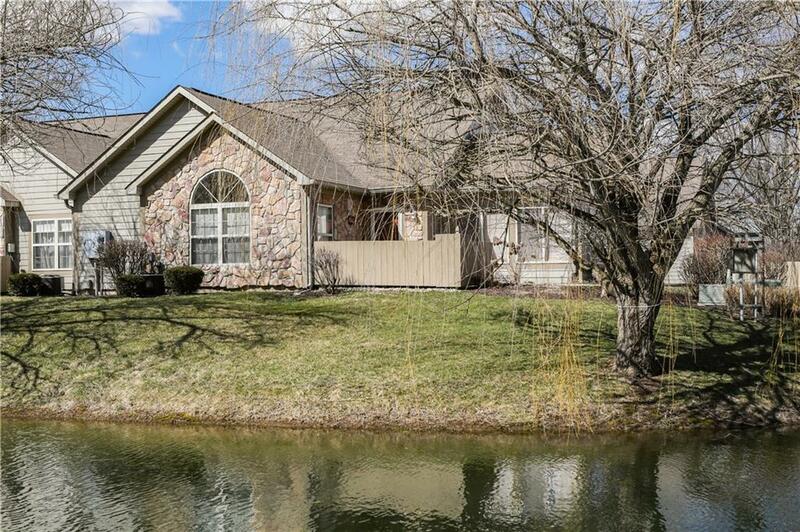 Listing provided courtesy of Indiana At Home Realty. © 2019 Metropolitan Indianapolis Board of REALTORS®. Information Deemed Reliable But Not Guaranteed.